Featuring Eminence Organic Skin Care; Our Board Licensed Skin Care Professionals are trained to effectively address your individual needs & tailor each service accordingly. Enhancements such as peels or treatments, may be added to provide a more advanced result. Consultations are included with every service. Your Therapist will be happy to consult with you on a skin care regimen to continue at home. Lay back, relax..while we make your skin glow! "Beauty, to me, is about being comfortable in your own skin..."
Your Esthetician will help you choose the perfect facial for your individual needs. Below are suggestions by skin type. ​Hot Wax Treatments & More. Skincare formulated to nourish, renew & enlighten. A quick pick me up for those on the go! A short cleansing, exfoliation & moisturizing provide a sweet treat for your skin. An organic facial for all skin types, tailored to suit your individual skin care needs. Includes cleansing, exfoliation, masking, moisturizing & a light face, neck & shoulder massage. A custom tailored facial for men to care for razor burn, dehydration, ingrown hairs & more. Includes ear, nose and brow grooming as needed. This elegant treatment soothes the skin using a variety of organic nutrients including Rosehip & Menthol. While Charcoal nourishes and calms issues such as; Rosacea, Immflamation or Irritation. You skin will feel relieved. Experience something new and fresh! Care for your skin with the seasons latest in Eminence Organics natural, high impact products. Featuring a Skin Specific facial with a seasonal Enzyme PRO Peel. ​Harness the natural power of Vitamins C+E with a boost for the skin. A cocktail of citrus, rhubarb, kale and avocado oil helps reduce the appearance of sun damage, fine lines & wrinkles. Boost collagen, reduce inflammation & redness, diminish signs of aging naturally! Long touted for its hydrating, antioxidant, & antibacterial properties... honey is ideal for nourishing the skin, protecting from sun damage, & even treating some forms of acne & allergies. Strawberry & rhubarb bring clarity & active nutrients to the skin. Very effective for aging, dehydrated & tired skin. A Skin Specific Facial applied to the face, back, neck, and shoulders will leave you refreshed and cleansed in often difficult, if not impossible areas to reach at home. Experience this relaxing treatment once, and you will soon wonder why you have never done so before! This deep pore cleansing treatment purifies skin with a thorough facial including an Herbal Mud Treatment, Salicylic PRO Peel and/or an Enzyme PRO Peel, extractions (if needed), masking; ending with a soothing, hydrating application. The ultimate facial experience. Enjoy a back exfoliation & hydrating mask, organic hot wax hand infusion, a thorough facial including an Arctic Berry Enzyme Peel, a light neck, shoulder & face-stimulating massage...ending with a relaxing warm oil scalp massage.. Truly magnifique! Professional level treatments for the ultimate in rejuvenation. A gentle, highly effective, deeply hydrating facial. A non-invasive skincare treatment, utilizing a razor blade, to reveal smoother skin by removing vellus hair & dead skin. Experience clearer, hydrated, softer, younger looking skin after just 1 treatment. Recommended for those with acne scars, sun damage, fine lines, wrinkles, clogged pores, & various skin conditions that require a more effective & deeper mechanical exfoliation. 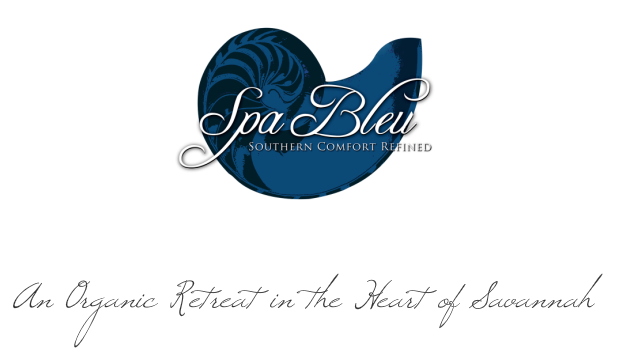 This treatment deeply hydrates, enhances collagen, & increases circulation. One of our most requested skincare services. Option to add an advanced level treatment with additional pro peels. Our most popular, advanced treatment! Beginning with Dermaplanning Technique and incorporating Organic PRO enzyme peels & triple masking. Reveal noticeably firmer, smother & lifted skin after just 1 treatment. Results oriented, exfoliating peels, gentle and highly effective. Reveal your natural beauty with an Eminence Vitaskin Peel customized to your skin type - for Clear, Bright, or Firm skin. Designed to integrate with and enhance your skincare routine. Take home kits available for maximum results. Experience immediate results with this lactic acid peel. Provides a complete surface and pore-refining treatment by removing impurities and dead skin cells while minimizing pores and smoothing the look of skin. This revitalizing peel is self-neutralizing and non-irritating, even for sensitive skin. This highly-effective peel is formulated with refining antioxidant-rich blueberries, pineapple enzymes and clarifying paprika. The AHA based detox firming peel naturally exfoliates and deeply purifies, removing dead skin cells. High potency, not recommended for sensitive or rosacea skin. An enzyme exfoliation, this delicious puree or yam & pumpkin leaves skin looking and feeling pure and radiant. Reduces the appearance of pigmentation, fine lines & sun damage. A 3-step peel and peptide system to help transform your skin and reveal your radiance naturally. Excellent for brightening and evening out skin tone. An exquisite blend of arctic berries, lingonberry seed oil and hibiscus seed extracts create an active renewing and resurfacing system that is safe for all skin types, including sensitive, rosacea and acne-prone skin. *Take home kit available. * Recommended in a series of 6 combined with home regimen for optimum results. Ask about our Skin Revival Package. To schedule an appointment, or if you have any questions, please call us at 912-236-1490.